It’s been almost two weeks since Bilingual is Better was released and so much has happened since then. For starters, we spent a whole week in Miami in a packed press tour and hosting an amazing book launch party. 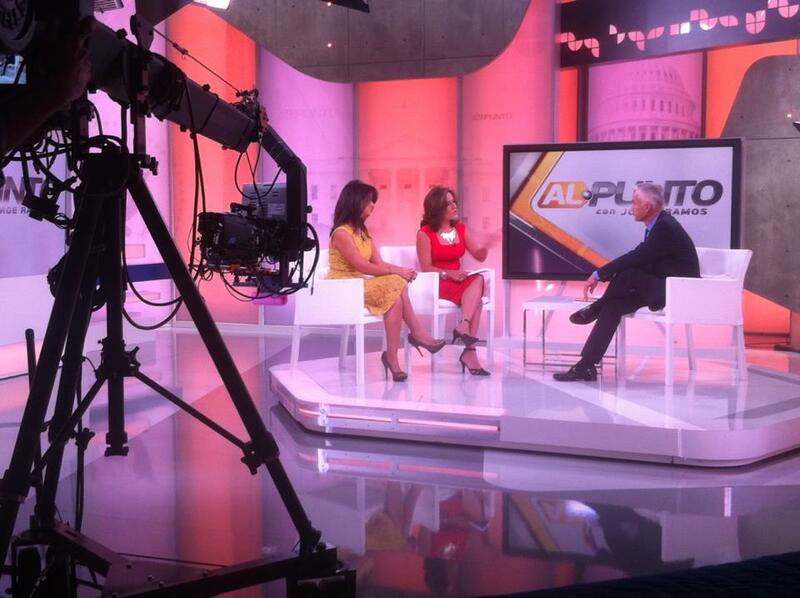 While some of the interviews we did were live — including those for CNN en Español — some of them aired last week and we’re still waiting for dates on the others, including the one we did with renowned Hispanic journalist Jorge Ramos for Al Punto. I honestly can’t wait for that one. As some of you know, I worked as a news producer in Univision for almost five years and going there two weeks ago to be interviewed about the book was like going back home. Not to mention that Jorge made Ana and I feel at ease as soon as we sat with him and confessed he too struggled to raise his teenage son bilingual. But I don’t really want this post to be about all the different interviews, stories and press appearances we’ve taken part in since the launch of our book. It’s not that I don’t deem them important, but you can find all that info in our Bilingual is Better website or on our Facebook Page. What I would like to do is share with you the overwhelming — and many times surprising — positive response we’ve gotten not only from the press, but also from those parents who’ve already read the book and have told us they were able to see themselves, their children and their specific situation in its pages. There’s nothing more rewarding than hearing a parent say that they identified with what we wrote and that they found the information in the book useful. But more than anything, we’ve been amazed at how many parents and non-parents alike already know and believe that being bilingual truly is better. I mean, I guess we’ve known for a while — thanks to our SpanglishBaby community — that many parents are raising bilingual children, but it’s awesome to hear that even those who might not yet be a part of our community are interested in the topic and believe its of utmost importance. The genuine interest and acceptance of the topic of our book is proving to us that there truly is a new bilingual parenting revolution and we couldn’t be happier! Click here to watch the story Primer Impacto aired featuring Bilingual is Better: ¿Cómo se logra una educación totalmente bilingüe? “Bilingual is Better” is In My Hands!